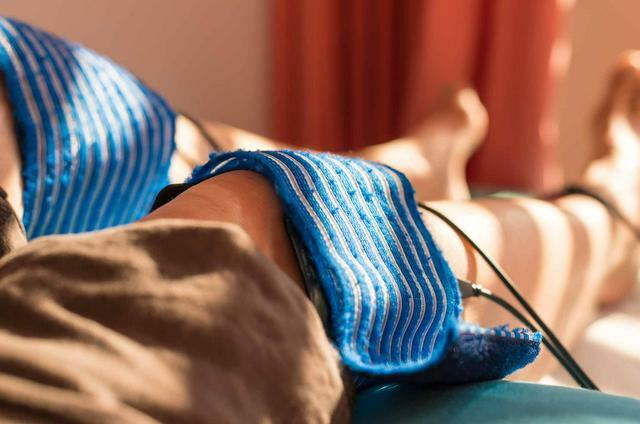 Tiny electrical impulse administered in a therapy called TENS (Transcutaneous Electrical Nerve Stimulation) might be the answer to pain management for some people. It is proposed that the electrical impulse interrupts the pain messages that the nervous system sends to the brain. Electricity blocks the pain receptor's activity. If the brain doesn’t get the messages from the pain area of the body, you will not feel the pain. TENS has been tried in a lot of conditions as a pain management tool. It has been known to be an effective tool to ease the pain being experienced due to different conditions. Cancer is a disease which is very painful at some stages. It can take away a person’s life. To get rid of the pain of the tumor, doctors often use TENS technique. It helps a lot in getting relief from the pain being experiencing, even if it just means for some time. Pain in this condition is also severe and can make a person cry. To get rid of the resulting pain, doctors often use TENS therapy to save the patient from intense discomfort. This infection occurs due to the inflammation of a tendon. In this case, the patient feels a lot of pain. TENS therapy is the solution for relief from such type of pain. Arthritis is a joint disorder which often appears in older people. At old age, the resulting pain is hard to bear that is why TENS therapy helps patients to keep them calm. TENS therapy is also widely used for treating pain resulting from chronically painful wounds. If a patient gets an injury which is hard to bear, TENS therapy is the solution that most of the doctors recommend for getting relief from the pain being experienced. After surgery, pain is hard to bear no matter what kind of surgery it is. For some time, the pain is intense unless any therapy like TENS is used to treat you. Just like surgery pain, pain during childbirth is also intense. TENS helps mothers to get relief from pain during childbirth.